Local fan-favourite Thomas Faure took home the vacant World Boxing Federation (WBF) International Light Heavyweight title on Saturday night, February 9, defeating game Georgian Beka Mukhulishvili at the Salle Pierre Jablonski in Chateauroux, France. Faure (29) worked well with his jab through-out, but never managed to take full control of the fight, as Mukhulishvili (22) was effective in countering with combinations to body and head. Many rounds were closely contested and could have gone either way. After ten entertaining but scrappy rounds, judges Jean-Louis Legland and Smail Alitouche scored the fight 98-93 and 97-93, while Jens Uwe Baum had it 96-94, all for Faure who improved his record to 16-4 (1). Mukhulishvili drops to 6-4 (3). On the same night, at the Salle Bellegrave in Pessac, France, Francis Tchoffo (31) had all he could handle with another Georgian in Jemal Shalamberidze (24), as they fought to a draw and left the WBF International Middleweight title vacant. 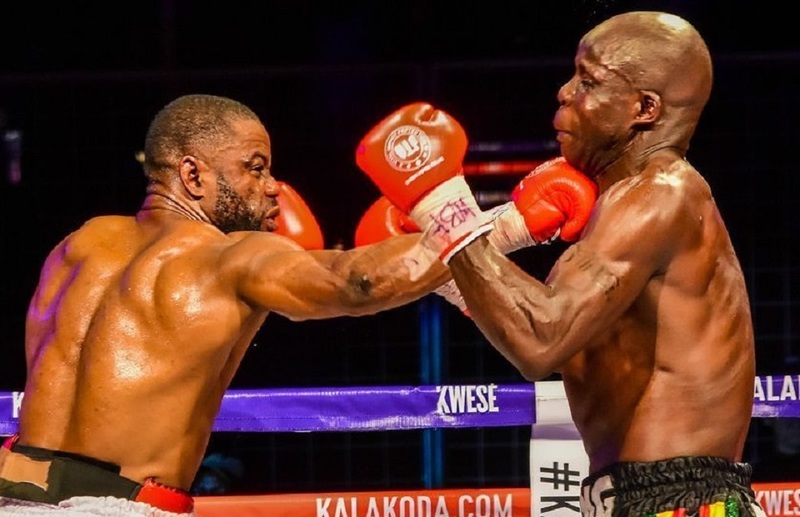 Cameroon-born Tchoffo, 19-15-1 (6), came forward all night, but often struggled to cut the ring off well enough to catch the elusive Shalamberidze, 8-5-1 (5), who boxed very well and had his fair share of success countering from a southpaw stance.